I have lots of ideas for meals, a full fridge, and some mental space to play in the kitchen so this is exactly what I am going to embrace this week. No meal plan. 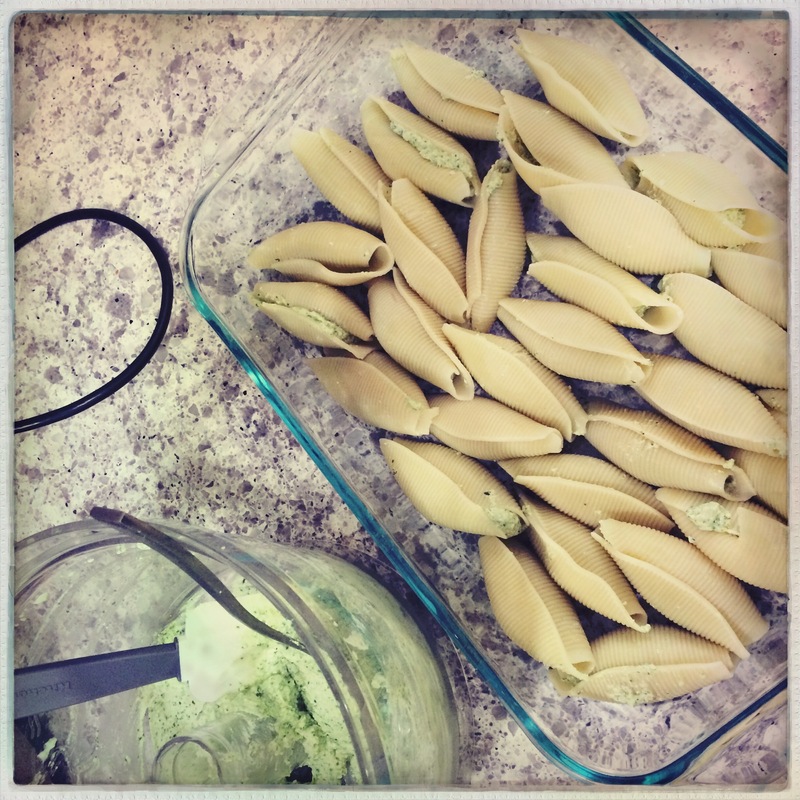 Today, I decided to stuff some pasta shells mid-day for a quick meal come dinner time. What are you eating tonight?